Skid-Mounted Equipment Design | EGM, LLC. 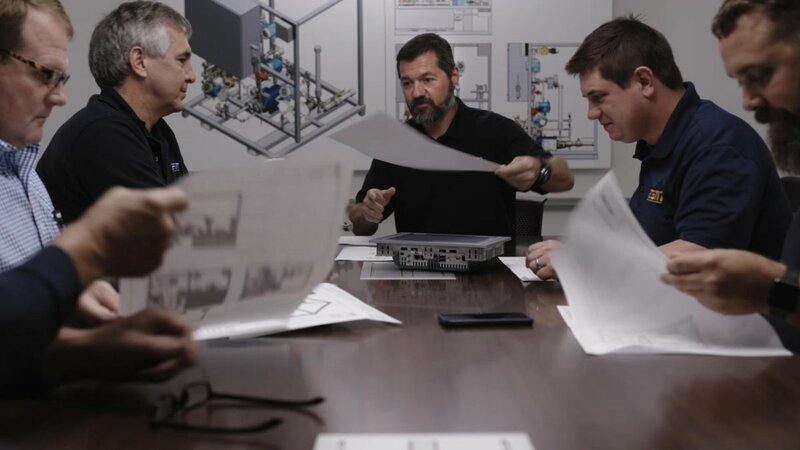 EGM maintains a staff of process, mechanical, and electrical design personnel who specialize in “concept to construction” work for skid-mounted systems. With an extensive background in specialty chemical preparation and chemical metering systems, the team at EGM can completely design custom equipment to achieve specific end-user requirements or can build with customer supplied drawings. In-house CAD operators are fluent in both SolidWorks 3D and AutoCAD 2D modeling and can provide mechanical, process and electrical design drawings for approval and as-built purposes.